Now who couldn't like this dog. It can back a punch on both ends of the spectrum and has a great physical movepool. 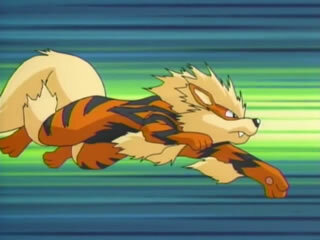 Arcanine can even do some revenge killing with extremeSpeed. Its abilities, flash fire and intimidate make Arcanine even more useful. Using this could end a battle in a red flash. The premise of this set is to hit hard physically with good coverage. Flare Blitz is the obligatory powerful STAB move. Close combat hits Chansey and Heatran hard. ExtremeSpeed is great for cleaning up weakened opponents that don't resist. Finally the last move depends on what your team needs to hit. Wild Charge can hit some of the water types that threaten Arcanine, while crunch can secure super effective hits on ghosts and pyschics. Life orb allows Arcanine to hit hard at the cost of health, so if you are worried about taking too much recoil leftovers is always an option. This set taps into both of Arcanine's attacking stats to hit a different variety of pokemon. The EVs allow Arcanine to revenge kill numerous gliscor sets that don't invest heavily in speed. It can also still hit heatran hard with close combat on the physical side. The fire attack is a matter of preference. 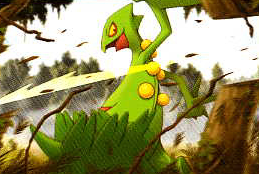 ExtremeSpeed is as present as ever to pick off weakened opponents. This is a little creative spin on things. With intimidate and the EV spread, Arcanine can be extremely difficult to damaage on the physical side. He can further incease its defensive capabilities by burning opponents with will-o-wisp. Rest and Sleep talk take care of healing Arcanine. The final movest is of preference. The main probelm with this set is that it can have trouble dealing damage and is better used in the lower tiers. These sets seem very good, I'm just unsure about the mixed one, because your attack power will be off. And the defensive one, can it take much of a hit? How are his base defenses? Arcanine has base 80 defenses and 90 HP. So he doesn't have terrible bulk, but not excellent bulk. And I would recommend slashing Morning Sun over Rest and Brick Break or Earthquake if running a Sun team. Morning Sun heals 66% in Sun and Brick Break or Earthquake prevents you from being walled by Heatran. Noel forgot the last 4 EVs in the Defensive set. And Ill be using that mixed set in the Future for sure. Raikoo wrote: Arcanine has base 80 defenses and 90 HP. So he doesn't have terrible bulk, but not excellent bulk. And I would recommend slashing Morning Sun over Rest and Brick Break or Earthquake if running a Sun team. 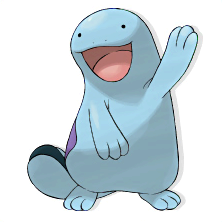 Morning Sun heals 66% in Sun and Brick Break or Earthquake prevents you from being walled by Heatran. Well like I said, that defensive set is better equiped for lower tiers when sun isn't availabe and there is no heatran running around.